The first "pen" appeared around 24,000 BC, and reed pens appeared in Mesopotamia about 5,000 years ago when written language was invented. Their design has remained unchanged ever since. Humans have been expressing ideas with pens for over a thousand generations. As a species, our very ability to think has evolved with our writing instruments. VR controllers were hastily adapted from gaming consoles, and each controller is complex enough, that newcomers struggle to learn them. They have to be held in mid air and can’t be used on a flat surface which makes them uncomfortable to use for even a short time. We knew we there had to be a better way. VR controllers are great for gaming but their designers have largely ignored how most people like working outside of VR. They have to be held in midair and unlike a pen, paintbrush or other creative tool, they can’t be used on a flat surface. And they're heavy, which makes them uncomfortable to use for even a relatively short period of time. 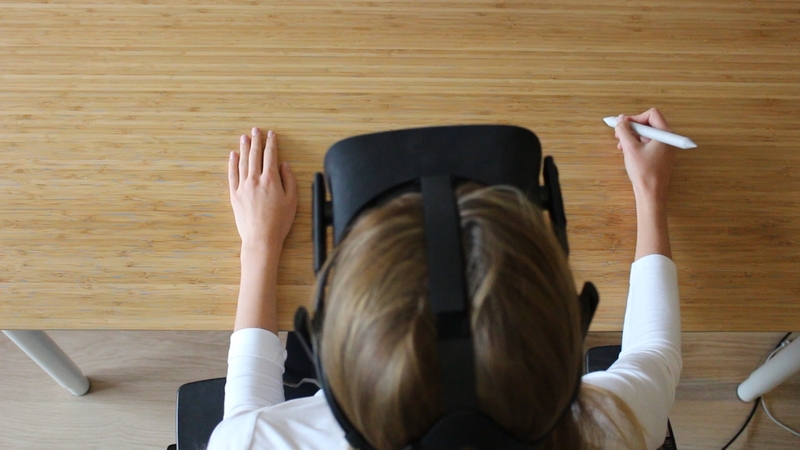 When we set out to make a VR workspace, we had to reimagine both the pen and the canvas. We created the Inscribe Pen, which feels like a regular pen but uses our advanced tracking technology for unparalleled precision. 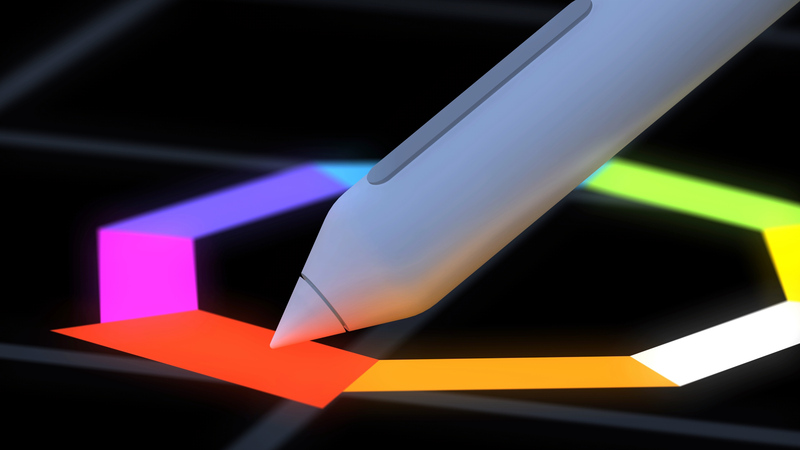 The Inscribe Pen is built for VR and makes it easy to paint or manipulate objects in 3D. Yet, the Pen is familiar, and lets you use any flat surface like your desk, as an infinite canvas for expressing ideas. And since we knew that the Pen would be used every day, we gave it extra long battery life and made it easy to charge via USB. Finally you can work in VR for hours at a time, with an infinite canvas and pixel perfect precision. The ultimate workspace isn’t a pad of paper, a whiteboard, or a wall of monitors, it’s an endless canvas for your ideas. The Inscribe Workspace is a VR application that combines the best parts of 2D and 3D workspaces to create the first multidimensional workspace. With unlimited space, you can import models, images, PDFs and all of the files you work with. Then, use the Inscribe Pen to add 2D or 3D annotations and manipulate models. Inscribe Workspace has everything you'd expect from a digital creation tool, including autosave, share via web, and easy undo/redo. Together the Inscribe Pen and Inscribe Workspace give you the best place to think. Works with Windows Mixed Reality headsets or Rift/Vive via Leap Motion. We'll be shipping the first limited production run in mid 2019. Reserve your Inscribe Pen today. Name: Email Address: Occupation: What will you use Inscribe for? Success! You're on the pre-order list. We'll contact you in a few weeks.